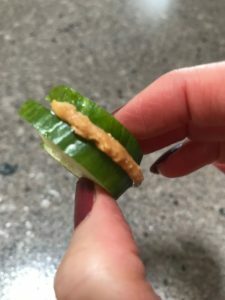 It’s little and it’s yummy. 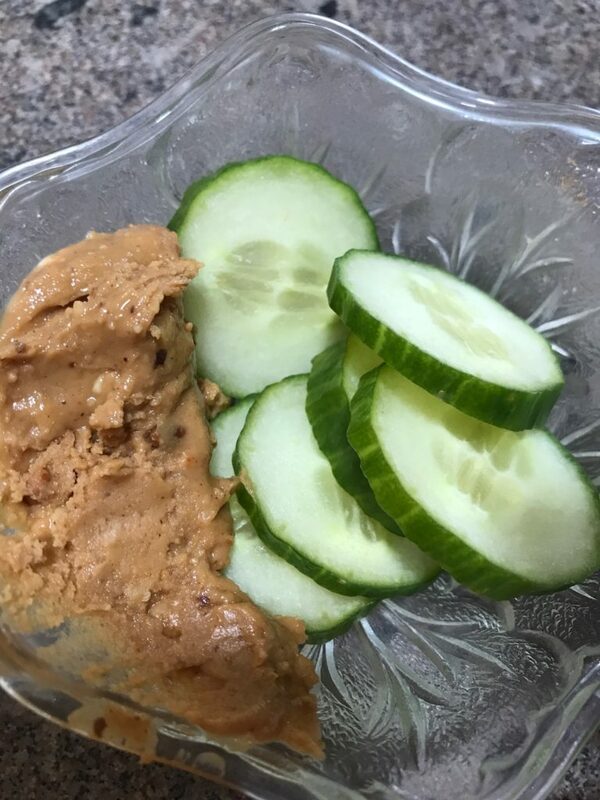 My friend Judy asked me a few months ago if I had ever tried eating cucumbers with peanut butter. No, never occurred to me and I really couldn’t imagine the two tastes together. As it turns out, I’m in love! And I eat this little snack all the time! Does it sound strange to you? Maybe your little people will like it. Happy Monday to your house!